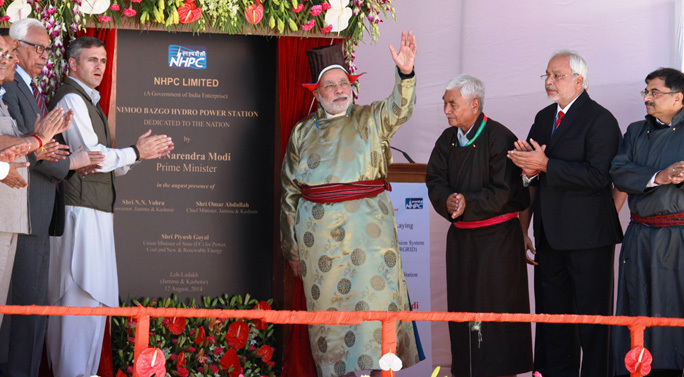 On PM Narendra Modi’s visit to Jammu & Kashmir, he inaugurated the building bricks for 245 km long Leh-Kargil-Srinagar power transmission line, at Leh which will be costing around Rs 1788 crore. He also committed to the country the Nimmo Bazgo hydroelectric power project with a capacity of 45 MW on the River Indus. This entire project will connect Ladakh and other states of Jammu & Kashmir with other states via energy that will help dark and remote areas where there is no electricity. 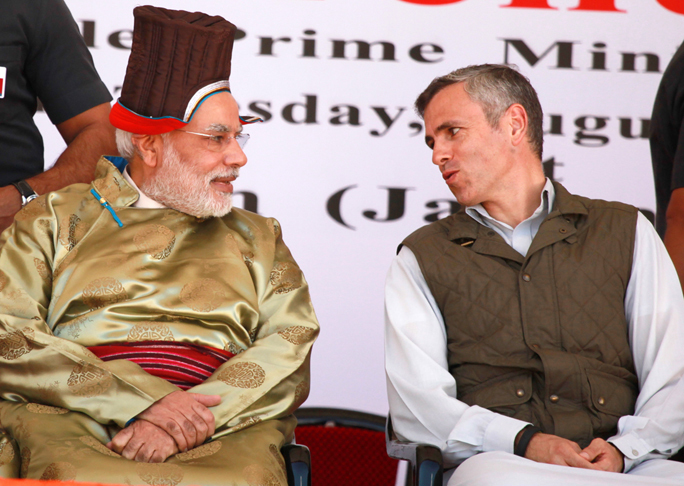 On the same occasion the Governor of Jammu and Kashmir Shri N.N. Vohra, the Chief Minister of Jammu and Kashmir Shri Omar Abdullah, the MoS(i/c) for Power, Shri Piyush Goyal, were also present along with the people gathering in large number that was seen after long time. 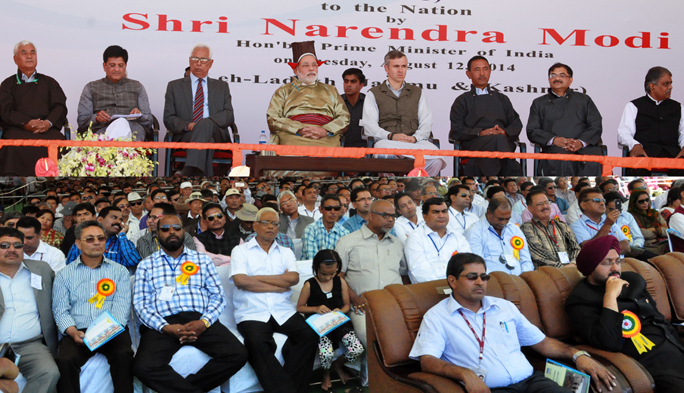 Narendra Modi addressed the people of Ladakh, sharing his love and their strength with the ladakh. He said that Ladakh is rich source of 3P’s that is Prakash means energy, Paryavaran means environement and paryatan means tourism that entire country benefits from. This would help Ladakh to help in national development. PM Modi said, as ladakh is helping other states of country from long time, now being as PM he will care for Ladakh. Having visited Ladakh very soon which no other PM had done, he said it is your love which draws me here to the gathering. Keeping in welfare of the state, he said special schemes would be planned up and launched for producers and craftsmen of Pashmina to appreciate and boost up their skill as Pashmina is the honor of the state J&K. Also, he said new units for cultivation of saffron will be developed in Spices Development Board to boost up saffron growth. He announced the waiver should be made for 60 crore solar project issues between the Center and State government so that solar energy park could be developed. For the Himalayan states, he said that these states have large number of natural resources which can be helpful in development of entire nation and would help people and farmers of the areas. Talking about the nation, PM Narendra Modi shared that he wants to connect all parts of countries via roadways, railways, energy resources, power, telephone to bring about change in the lives of citizens of country, develop skills of the youth. He also said till now lot of funds is been lost in corruption, but now no more. The government will take all the measure actions to fight against corruption.